An art document “Omizue: Iwamino-Kamito-mizu ” is being published on the occasion of the exhibition, August 2016 at Iwami art Museum. This book includes an introduction of various tools for Omizue,Yurie Nagashima’s photographs, text by Kogei Punks Sha, Naoto Ishii, Kenji Mukunoki (Shimane Art museum) and Risa Hirota (Iwami Art museum). All contents of the work” Omizue: Iwamino-kamito-mizu” are collected. Cover paper is letterpress on Jadoshi (Sekishu-Washi is used by Iwami Kagura). 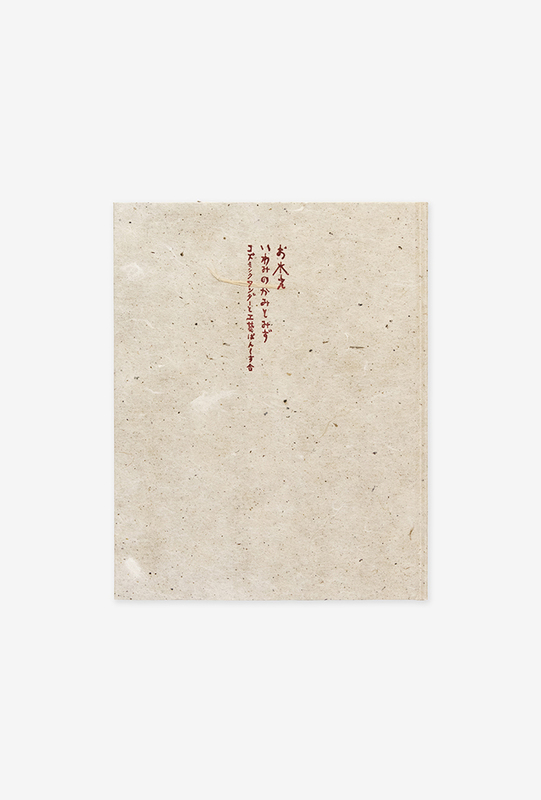 Composed of mimeograph printing, a piece of Washi from Paper koromo attached.